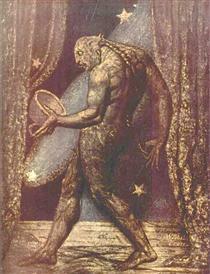 William Blake (28 November 1757 – 12 August 1827) was an English poet, painter, and printmaker. 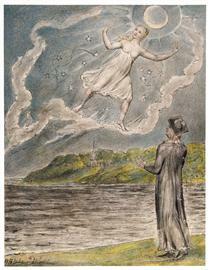 Largely unrecognised during his lifetime, Blake is now considered a seminal figure in the history of the poetry and visual arts of the Romantic Age. What he called his prophetic works were said by 20th-century critic Northrop Frye to form "what is in proportion to its merits the least read body of poetry in the English language". His visual artistry led 21st-century critic Jonathan Jones to proclaim him "far and away the greatest artist Britain has ever produced". 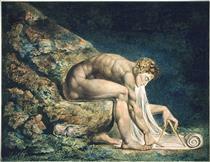 In 2002, Blake was placed at number 38 in the BBC's poll of the 100 Greatest Britons. 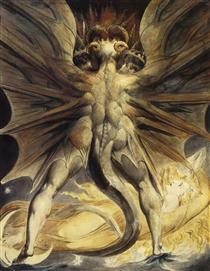 Although he lived in London his entire life (except for three years spent in Felpham), he produced a diverse and symbolically rich œuvre, which embraced the imagination as "the body of God" or "human existence itself". 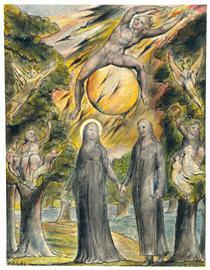 Although Blake was considered mad by contemporaries for his idiosyncratic views, he is held in high regard by later critics for his expressiveness and creativity, and for the philosophical and mystical undercurrents within his work. 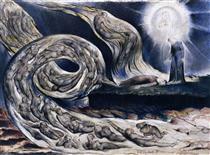 His paintings and poetry have been characterised as part of the Romantic movement and as "Pre-Romantic". 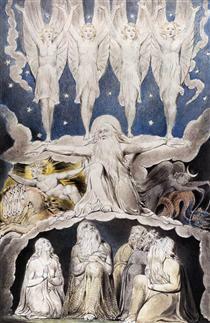 Reverent of the Bible but hostile to the Church of England (indeed, to almost all forms of organised religion), Blake was influenced by the ideals and ambitions of the French and American Revolutions. Though later he rejected many of these political beliefs, he maintained an amiable relationship with the political activist Thomas Paine; he was also influenced by thinkers such as Emanuel Swedenborg. 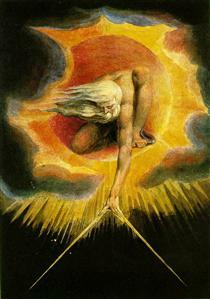 Despite these known influences, the singularity of Blake's work makes him difficult to classify. 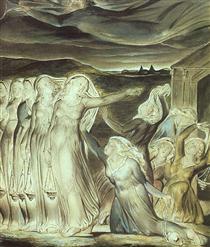 The 19th-century scholar William Rossetti characterised him as a "glorious luminary", and "a man not forestalled by predecessors, nor to be classed with contemporaries, nor to be replaced by known or readily surmisable successors". 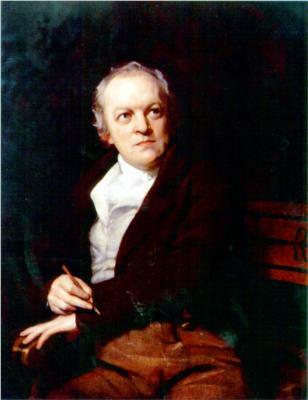 William Blake was born on 28 November 1757 at 28 Broad Street (now Broadwick St.) in Soho, London. 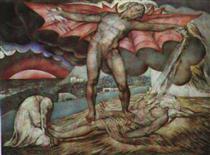 He was the third of seven children, two of whom died in infancy. 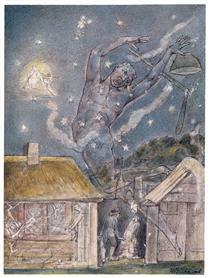 Blake's father, James, was a hosier. 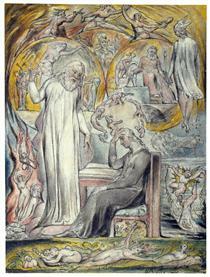 He attended school only long enough to learn reading and writing, leaving at the age of ten, and was otherwise educated at home by his mother Catherine Blake (née Wright). 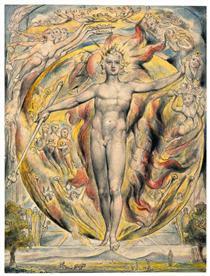 Even though the Blakes were English Dissenters, William was baptised on 11 December at St James's Church, Piccadilly, London. 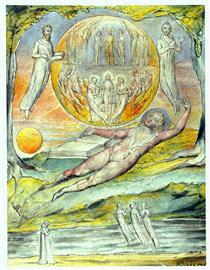 The Bible was an early and profound influence on Blake, and remained a source of inspiration throughout his life. 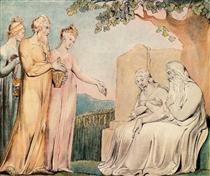 Blake started engraving copies of drawings of Greek antiquities purchased for him by his father, a practice that was preferred to actual drawing. 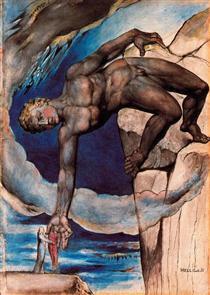 Within these drawings Blake found his first exposure to classical forms through the work of Raphael, Michelangelo, Maarten van Heemskerck and Albrecht Dürer. 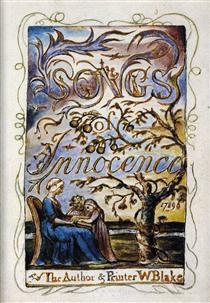 The number of prints and bound books that James and Catherine were able to purchase for young William suggests that the Blakes enjoyed, at least for a time, a comfortable wealth. When William was ten years old, his parents knew enough of his headstrong temperament that he was not sent to school but instead enrolled in drawing classes at Pars's drawing school in the Strand. He read avidly on subjects of his own choosing. 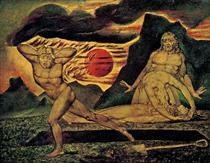 During this period, Blake made explorations into poetry; his early work displays knowledge of Ben Jonson, Edmund Spenser, and the Psalms.